Ancient Biblical Scholars’ Incredible Teachings Come to Life With Modern Invention of Lab-Grown Meat - Breaking Israel News | Latest News. Biblical Perspective. While the astonishing high-tech process of creating laboratory-grown meat may solve the problems of vegetarians and animal rights activists forever, the new phenomenon might be problematic for a group of people whose dietary needs have never been exactly simple: the Jews. Stem cell research has now advanced to the point where meat protein is being cultured in labs with the goal of developing commercially-viable methods of mass production. This new technology will bring enormous advantages for the environment and may help solve world hunger. It appeals to animal rights activists, who can eat lab-grown protein with a clear conscience. But apart from the practical benefits or drawbacks, the new technology also brings religious and spiritual implications which could shape our pre-Messianic reality. The project’s breakthrough came two years ago, when Mark Post, a Dutch tissue engineer, successfully cooked up a hamburger made from 100% laboratory-grown beef. Though prohibitively expensive, costing 250,000 euros to produce (paid for by Google co-founder Sergey Brin), it is the harbinger of menus to come. The Modern Agricultural Foundation in Ramat Gan, Israel, has launched a similar project concentrating on culturing stem cells from chickens. As science opens doors, this new and unanticipated technology raises a wide range of practical issues for Torah scholars. When the process becomes commercially practicable, rabbinic authorities will rule on the new product: Is it really meat? Can it be considered kosher since it doesn’t have the traditional signs of a kosher animal (hooves, chewing cud, feathers, scales, fins)? If so, can it be kosher since it cannot be slaughtered in the way described by the Torah (shechitah)? If it isn’t meat, can it be eaten with milk, which is forbidden? Is meat grown from pig stem cells kosher? Is taking the stem cells from a living animal considered ever min hachai, ripping a limb from a living creature, which is forbidden to Jews and non-Jews, according to the seven Noahide laws? Incredibly, despite lab-grown meat being cutting-edge technology, Talmudic sages – influential Jewish scholars who wrote Biblical commentaries – dealt with similar questions hundreds of years ago. In tractate Sanhedrin 59b, the rabbis discuss “meat that descended from heaven”. Rabbi Yeshayah Halevi Horowitz, a 16th century rabbinic authority, ruled that meat created in an unnatural manner, such as by Kabbalistic methods, is not considered a real animal and does not need ritual slaughtering.The Malbim, a 19th century Torah scholar, commented that meat created this way is not considered meat and can be eaten with milk. He suggested that this is the type of meat Abraham offered the angels (Genesis 17:7-8), and was therefore able to serve them milk at the same time. 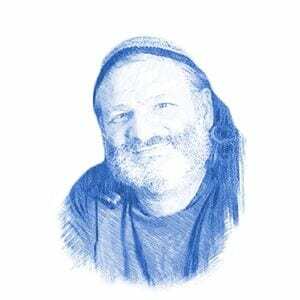 Today’s rabbinic authorities have speculated on the practical halacha (Torah law), but until the technique becomes commercially viable and available to the public, not official ruling can be given. Breaking Israel News turned to Rabbi Moshe Elefant, Chief Operating Officer of the Orthodox Union’s Kashrut Department – the world’s largest not-for-profit kosher certification agency – and asked him how he viewed this new development from a spiritual perspective. “We believe that everything in the world is created as part of God’s grand plan. God is the source, he gave intelligence to scientists and if they come up with this, we certainly believe it is divinely inspired,” he said. Rabbi Elefant explained that he does not normally see things in a geula, or redemptive, context, but this development could certainly be seen as an indication Moshiach is approaching.